In 2014, she released ‘The Fires of Red: Season One’, a body of work composed of 14 original songs and drawings “that serves as a visual songbook, detailing a modern fictional drama. 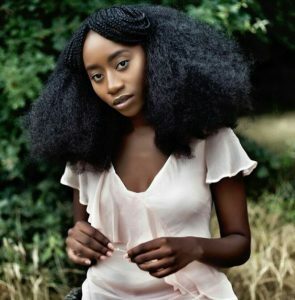 Putting her knowledge in film scoring to good use, Kaliné worked with Kemi Adetiba on her King Woman series and has also worked on a number of other films. A believer in Social advocacy, she has written a number of songs that address social issues. ‘Bring Them Home’, written in honor of the abducted Chibok girls in 2014. ‘Every Woman, EveryChild’ a theme song written for a UN-affiliated foundation of the same name, and ‘Stand and Fight’ that addresses domestic violence which won her first place in Berklee’s ‘Songwriting for Social Change’ competition in 2012. In 2016, she performed the Nigerian National Anthem at the Nigerian Embassy, D.C, upon the arrival of President Muhammadu Buhari. Among several other performance opportunities, Kaliné has opened for Chaka Khan, Angelique Kidjo, Keziah Jones, Bez, and Victor Olaiya. While expressing herself, as best as she can, with her music, she transcends the genres, from R’n’B to jazz to Afrobeat, “to create an authentic alternative sound”. The lady of the moment, having recently released her second body of work, ‘There’s A Story Here’ (a compilation featuring 5 songs and an interlude, including the earlier released ‘Oya Oh’), she shares her musical journey with me, and details about her new EP, giving us a beautiful and insightful read. Who is Kaliné, and what does she do? 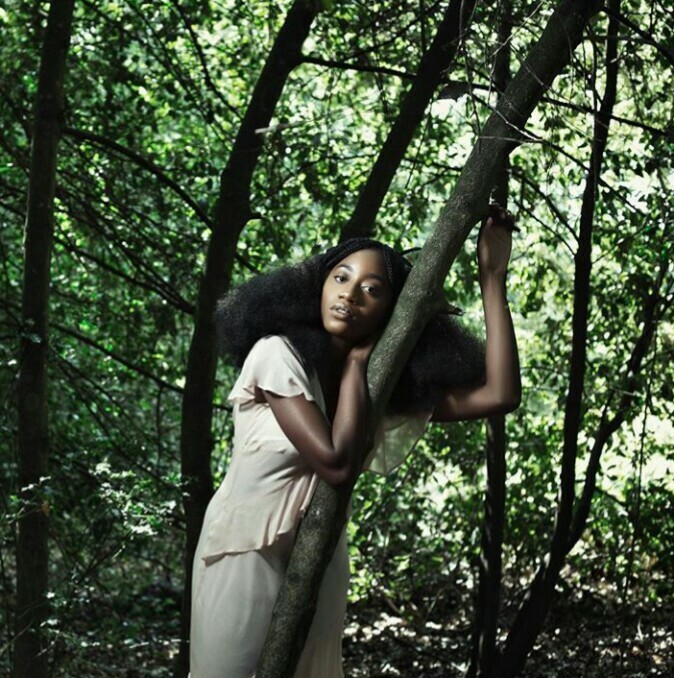 Kaliné: I’m a singer-songwriter/pianist, a film composer who tells stories through melody and lyric. Kaliné: I come from a musical family and my mum started me off with classical piano training. My dad played a lot of different kinds of music around the house so I grew up to have very eclectic taste. My brothers, uncles, aunties, cousins all either play an instrument or sing. Kaliné: A typical day when I’m not performing.. I get up, pray/morning devotion, exercise, eat/get ready for the day, do some vocal warm ups, respond to emails and messages, work on the administrative/creative goal of the day (to do with my entertainment company); e.g. editing video content for social media and then I write or record some song ideas, do some reading as well. When I have a show, my day is completely different. And when I have a deadline, it’s also relatively different as well haha. Kaliné: I’m inspired in various ways by various people. I’m mostly inspired by multi-faceted people in the creative industry who have been in show business for more than 2 decades and are still at the top of the game i.e. Jennifer Lopez, Beyoncé. I’m also inspired by cross-over Nigerian artists whose art is consumed globally e.g. Wizkid. And then lastly I’m inspired by Persons in the public eye that do a lot for either the local or global community. Some of my main heroes are Princess Diana, Benazir Bhutto and Oprah Winfrey. Apart from music, what other art form(s) do you identify with? Kaliné: Fashion, Film, Dance, Creative Writing, Art… The list goes on. I’d say pretty much all art forms. For me, it’s hard to isolate music from other art forms because of how interconnected they are. What themes do you pursue in your music? Kaliné: I’m generally interested in singing about themes that are relatable to the average person and I love singing about topics that bring communities closer together such as ‘social change’. Kaliné: My family, those I love and the fact that I know I was brought on this earth to do something. I’m pretty sure it’s music but ask me in 10 years (haha). Tell me about your favorite performance. Kaliné: My favorite performance was definitely Kaline Live at Christmas. On December 16th, 2018 I performed a 90-minute show to a sold-out concert hall in Lagos (Terra Kulture). The reason this was so amazing for me was the fact that we had so many elements to the show that we worked so hard to pull-off. We had visuals that coincided with the music, we had choreography, I had 9 costume changes, and of course the music arrangement and also the guest artists entrances. Creating a show is probably my second favorite thing to do after ‘performance’. Now, regarding your recently released EP, ‘There’s A Story Here‘, what inspired the compilation and arrangement of the EP? Kaliné: The EP is a combination of songs that I wrote 5 years ago and songs I wrote very recently. The decision to call the EP “There’s A Story Here’ came from looking for a common thread that ran through all the songs. All the songs have one thing in common – they all have a story that they stemmed from. What is/are your favorite track(s) from the EP, and why? Kaliné: My favorite changes all the time. Right now, it’s ‘Ki Lo Fe?‘ because of the drum pattern and the South African house beat in the bridge. ‘Stranger‘ happens to be my favorite, it’s soulful, and really beautiful. I’d like to know the story behind it. Kaliné: I wrote ‘Stranger’ after being a ‘shoulder-to-cry-on’ to my friend who was complaining about a relationship she was in. She was my roommate and we were sitting on her bed talking about her situation. Of course, I embellished the whole story a little and the basis of the message is about recognizing the confidence it takes to leave a situation that is no longer serving you. Kaliné: Off the top of my head..I lied to my parents about being at a friends house when I really had been picked up to go on a date with a guy they weren’t too keen on. Hahaha!! What’s your favorite song to belt out at any given time? Kaliné: For someone reason… whenever I don’t have a song in my head, the song that always rolls out of my mouth is ‘If” by Destiny’s Child. It’s so weird because I haven’t listened to it in at least 10 years. Strange right? Another song I belt out occasionally without warning is ‘Jesus Loves Me’ Whitney Houston’s version. Kaliné: Besides creating concerts and shows… Traveling… and reading. What words do you live by, and by who? Kaliné: To thy self be true. What is next for Kaliné? Kaliné: Music videos, an acoustic remix album of the EP and a tour. And then a new album before the end of the year. A lot to do… so little time.